Volo will also reduce the top speed of all new models to 110 mph from 2020. Volvo has a reputation for being one of the most safety-conscious car manufacturers in the world. The Swedish automaker is on a mission to make deaths and injuries a thing of the past in all its cars by 2020. Volvo believes that speeding, intoxication and driver distraction are the three main factors that cause deaths and injuries on the road. 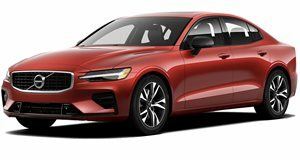 To combat speeding, the automaker announced last month that all new Volvo models will have a reduced top speed of 110 mph from 2020. Now, Volvo has revealed new technology designed to prevent deaths and injuries caused by intoxicated and distracted drivers. Volvo will install in-car cameras and other sensors that monitor the driver and allow the car to intervene if a clearly intoxicated or distracted driver does not respond to warning signals and is risking an accident involving serious injury or death. Interventions could include limiting the car’s speed, alerting the Volvo on Call assistance service and, as a final measure, actively slowing down and safely parking the car. These behaviors include a complete lack of steering input for extended periods of time, drivers who are detected to have their eyes closed or off the road for extended periods of time, as well as extreme weaving across lanes or excessively slow reaction times. Volvo says these cameras will be installed on all Volvos built on the automaker’s scalable SPA2 vehicle platform in the early 2020s in response to data released by the NHTSA showing that almost 30 percent of all US traffic deaths in vehicles in 2017 involved intoxicated drivers. Details on the exact number of cameras and their positioning in the interior will be announced at a later stage. Despite its age, the Volvo S60 can still show its compact executive rivals a thing or two. It's time to rekindle some excitement in the sedan segment. Hold the 'made in Germany' sticker, sometimes Scandinavians just do it better.